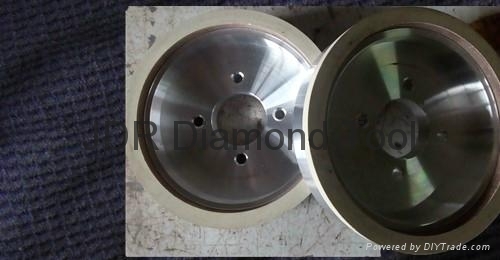 2. a. Vitrified bonded diamond wheel is used for grinding the hardened brittle materials like steel, tungsten carbide, PCD, PCBN, ceramic,etc. Offers better grinding perfomrnace than the metal diamond wheel. But, since it has no rigidity of bond, it is more suitable for precision grinding than the resin bonded diamond or CBN wheel.